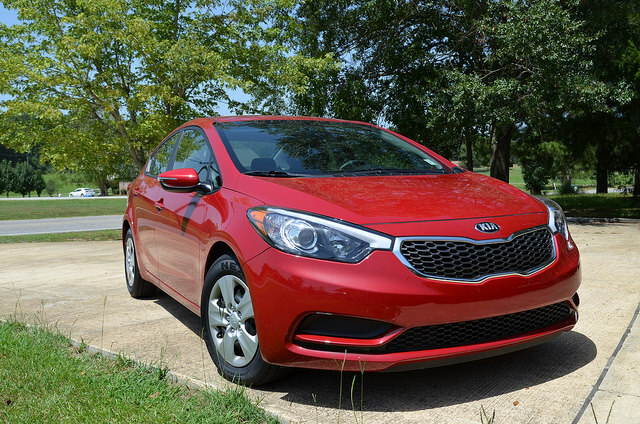 What makes the Kia Forte so great is both the affordability and the 10-year powertrain warranty. The warranty makes life much easier, as you won’t be shelling out as much money to repair it when there are problems. The slick styling and spacious interior certainly sweeten the pot. The 148 horsepower engine and standard six-speed transmission give the Forte a reasonable amount of zip, so you won’t have to worry when passing or lane changing. The gas mileage is good, with an estimated 24 city and 36 highway mpg. The interior looks very upscale, with imitation carbon fiber trim and an easy to use infotainment system. When looking for a sturdy, daily driver, to get you around the city, the Kia Forte hits the mark with style.